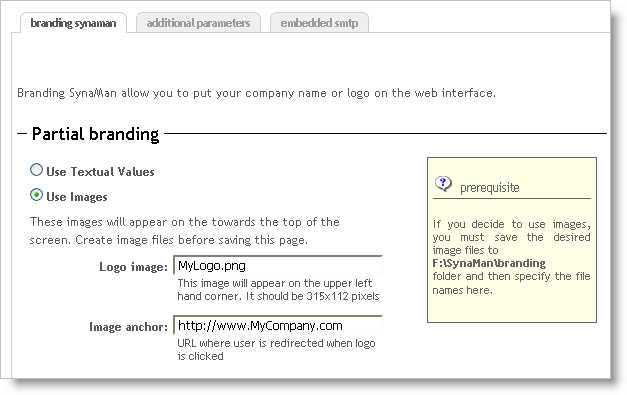 This page talks about partial branding that allow you to put your company logo or a custom text in the upper left hand corner of the web interface, giving your users an impression that they are connecting to a website belonging to you. Click the image on the right to enlarge a sample screen shot. The following steps demonstrate how to brand your copy of SynaMan. Click Advanced Configuration under Quick Links. 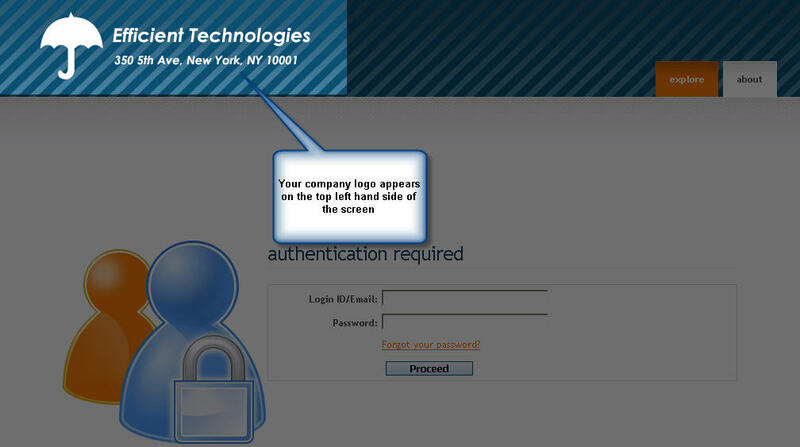 You can either select a text for your company name or display your company logo. See image below. Create custom images and save them in $INSTALL_DIR/branding folder, where $INSTALL_DIR refers to the path where SynaMan is installed.